Elastic grinding wheels FAPI-FEST are especially suitable for sharpening, honing, deburring and polishing knives and splitting tools. The composition of the elastic grinding wheels is important. The elastic grinding wheel is made of an open-pored rubber or polyurethane, which is homogeneously interspersed with various abrasive grain sizes. The 30 mm bore and 4 driving holes allow easy mounting and positioning of the deburring discs FAPI-250 on the deburring machine. 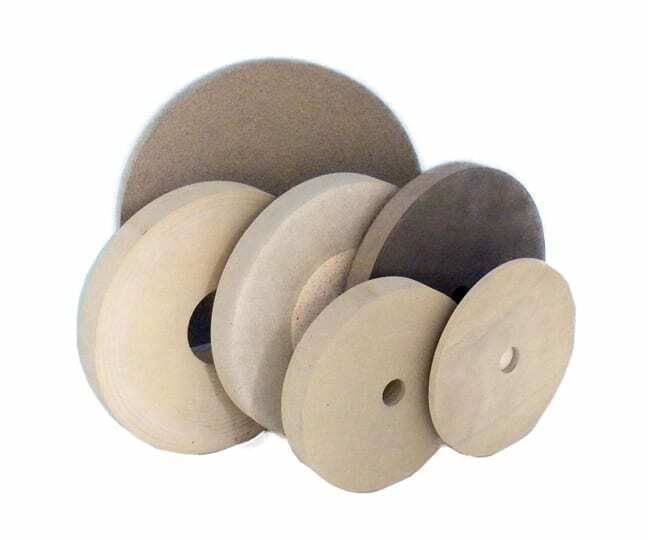 Elastic grinding wheels are used in practice for both wet and dry grinding. In order to achieve an optimum machining result, the workpiece to be machined only has to be pressed slightly against the elastic grinding wheel. This guarantees an extremely quiet guidance during the entire machining process and thus a maximum of work safety. The service life of elastic grinding wheels is very long. 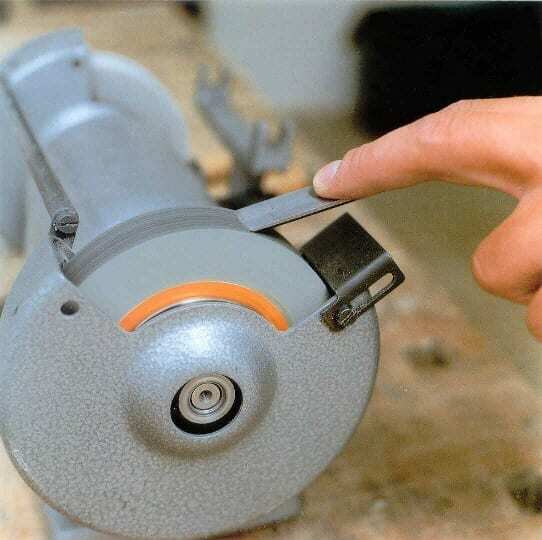 As a rule, elastic grinding wheels can be used longer than felt wheels. The elastic grinding wheel is ready for machining at any time. Polishing paste or similar additives are not required. No additives (polishing paste, etc.) are required for elastic grinding wheels. The workplace, the workpiece and the elastic grinding wheels thus remain clean. For this reason, the elastic grinding wheel is of particular interest for canteen kitchens or for the entire catering industry for removing knives. Elastic grinding wheels are especially suitable for sharpening, honing, deburring and polishing knives and splitting tools. The structure of the elastic grinding wheels is certainly an advantage. The elastic grinding wheel is made of an open-pored synthetic rubber, which is homogeneously interspersed with fine abrasive grain. Note: Due to production and material-related reasons, there may be slight deviations from the specified dimensions.